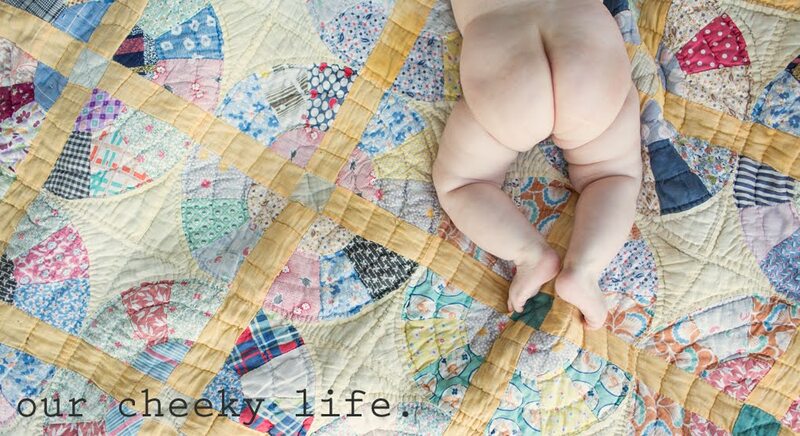 Our Cheeky Life: Field trip! I always loved a good school field trip. Loading up on the bus with your pals and a packed lunch, off to see something new. We've been stuck in a summer rut lately and a little field trip was definitely in order. Even better when some of your favorites can join in! 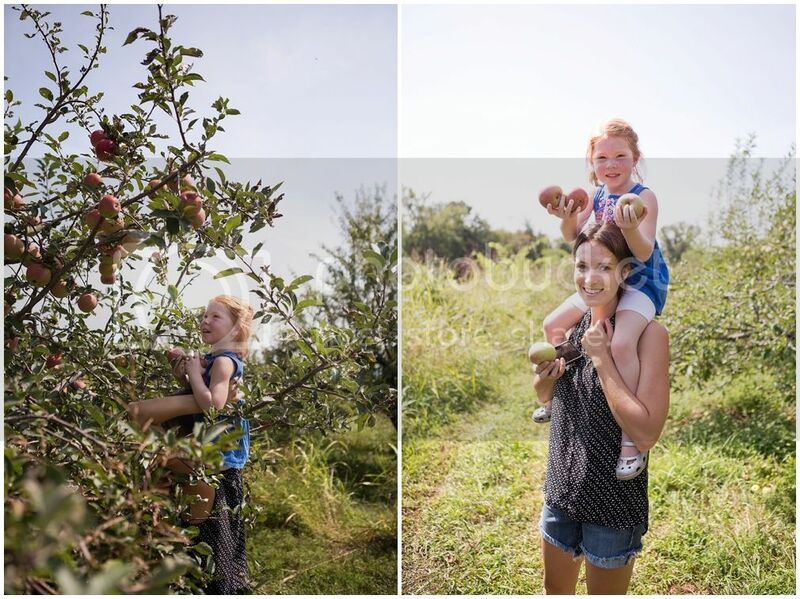 Corinne and Molly and their kiddos made our day so much more fun. 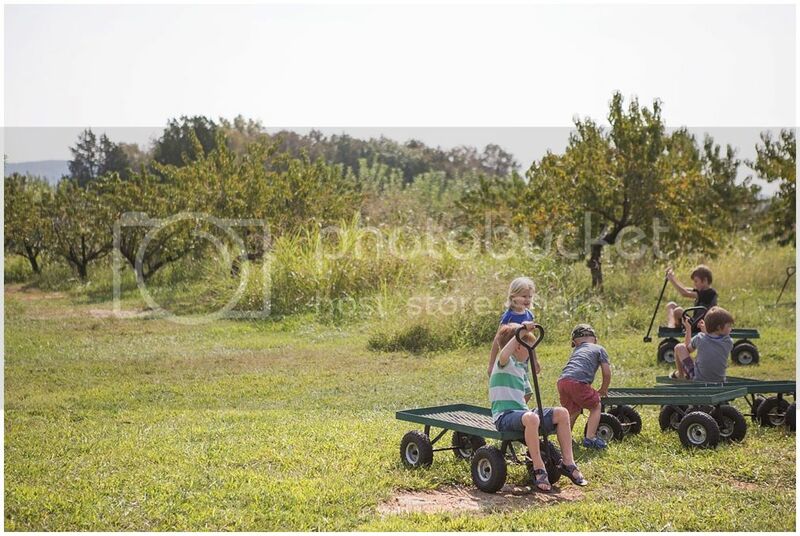 And even though it was nearing 90 degrees about halfway in, we picked apples and talked about the pies and crumbles and apple butter we would make with them. Fall things. 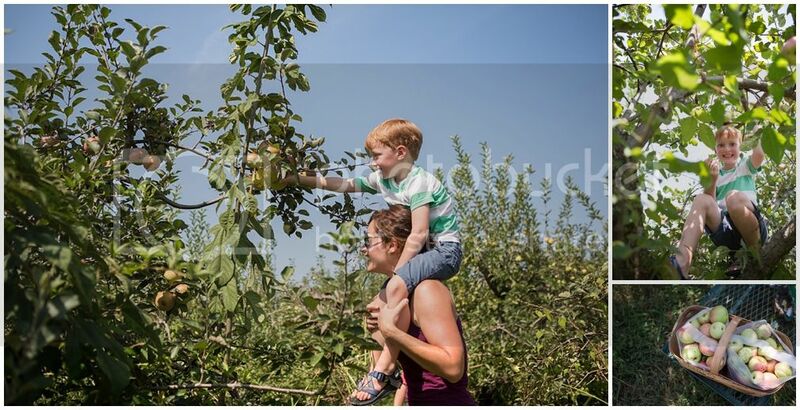 The kids thought apple picking was just the grandest thing ever. 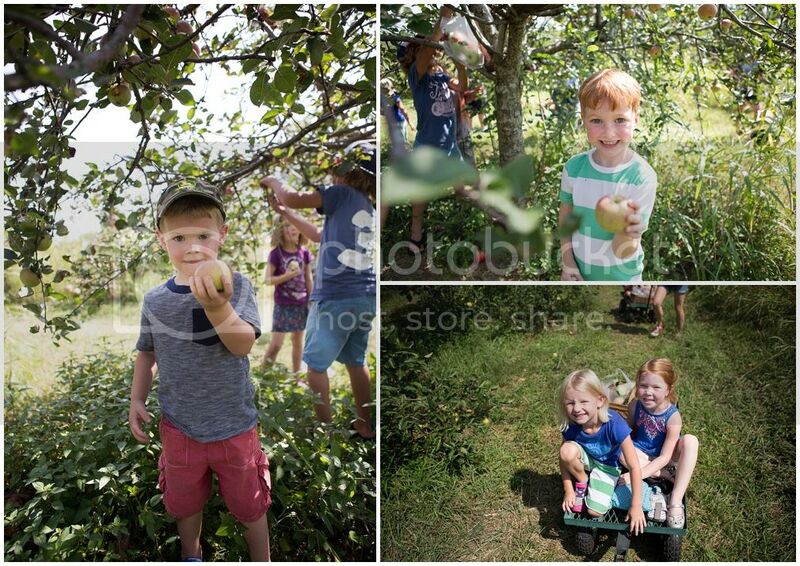 Some were like joyous and (somewhat) cautious little monkeys, climbing up tree branches to grab the apples nobody else could reach. And they weren't afraid to use us as scaffolding. 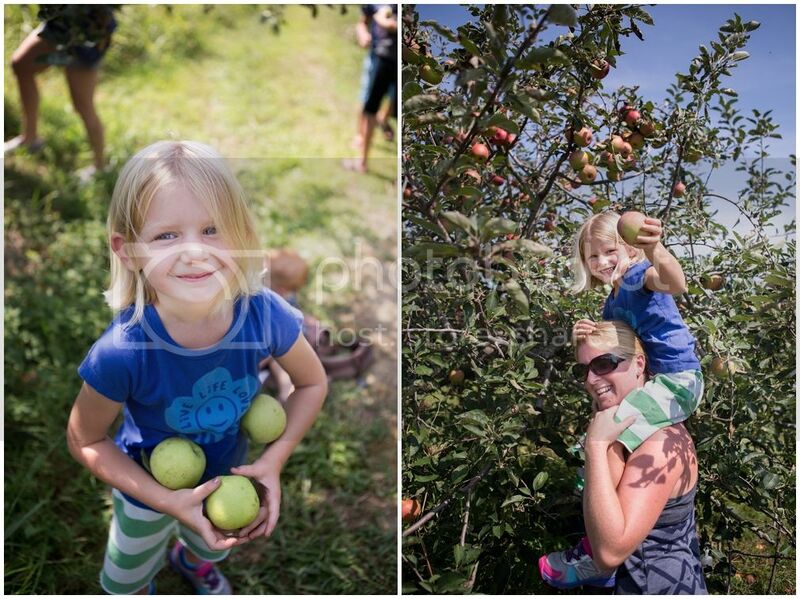 I think between the nine of us we picked about 60 pounds of apples, sending each of us home with 20. And in the past week I think the three moms have covered the gamut of pies, crumbles, applesauce, apple butter and who knows what else. Sweet rewards from such a fun neighborhood field trip.